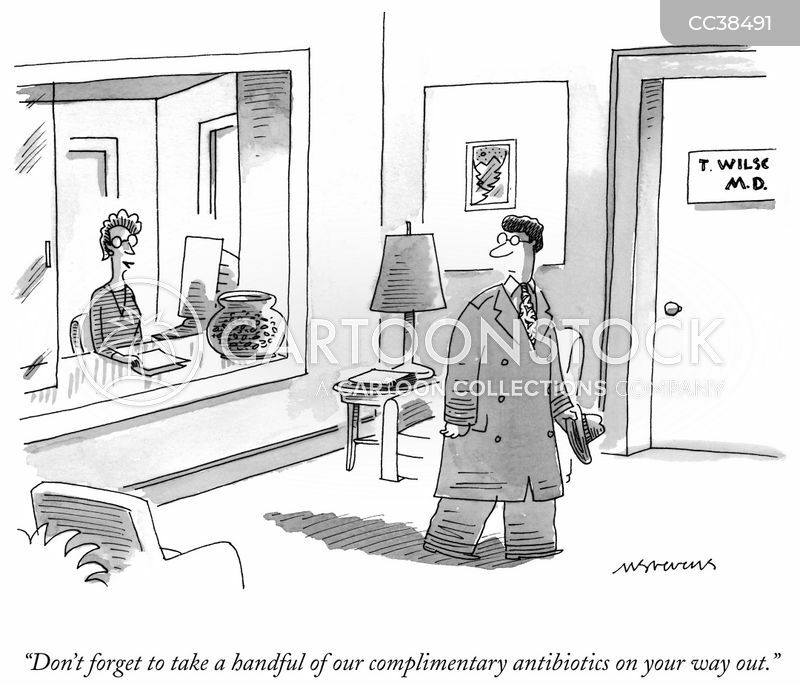 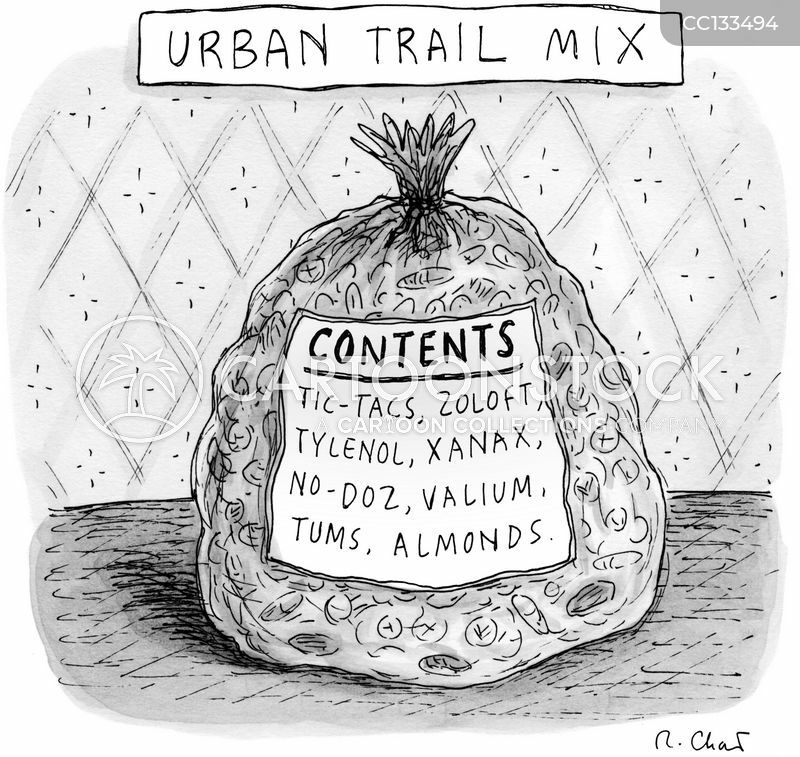 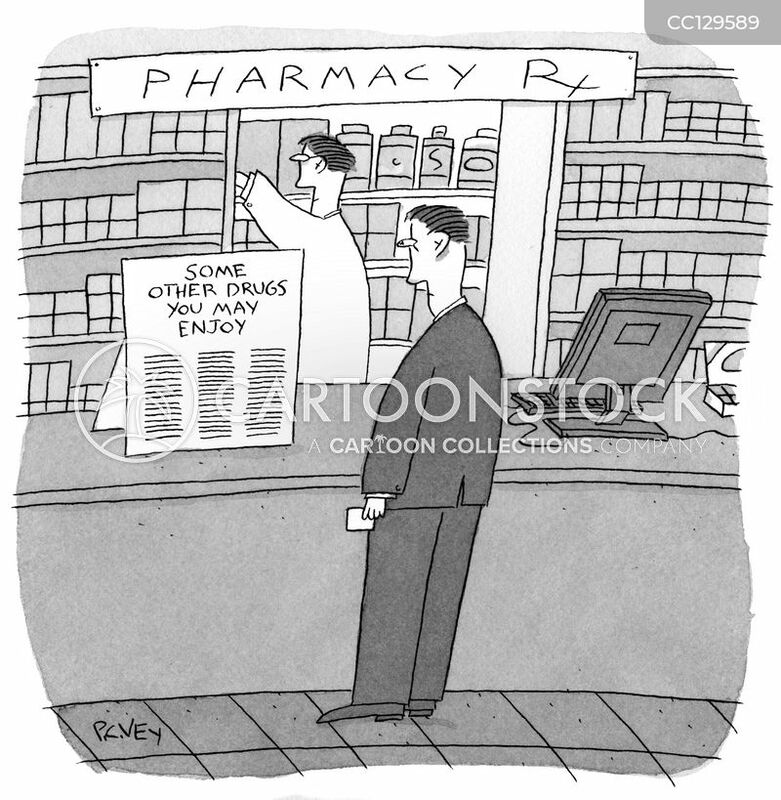 "Don't forget to take a handful of our complimentary antibiotics on your way out." 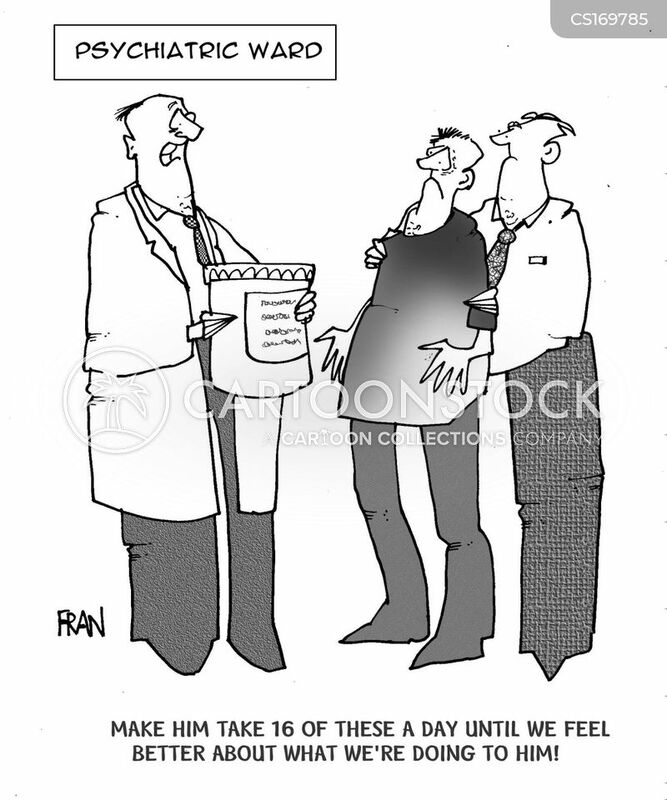 "Make him take 15 of these a day until we feel better about what we're doing to him!" 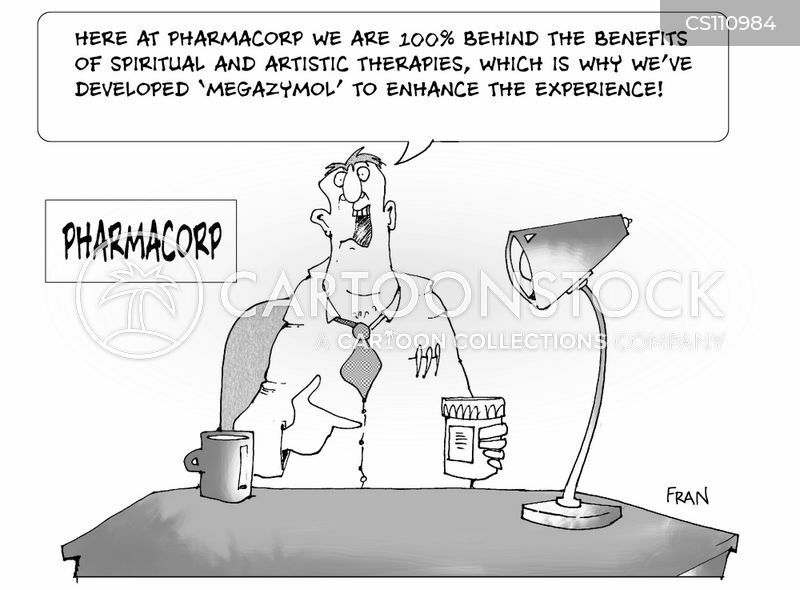 "Here at Pharmacorp we are 100% behind the benefits of spiritual and artistic therapies which is why we've developed 'megazymol' to enhance the experience." 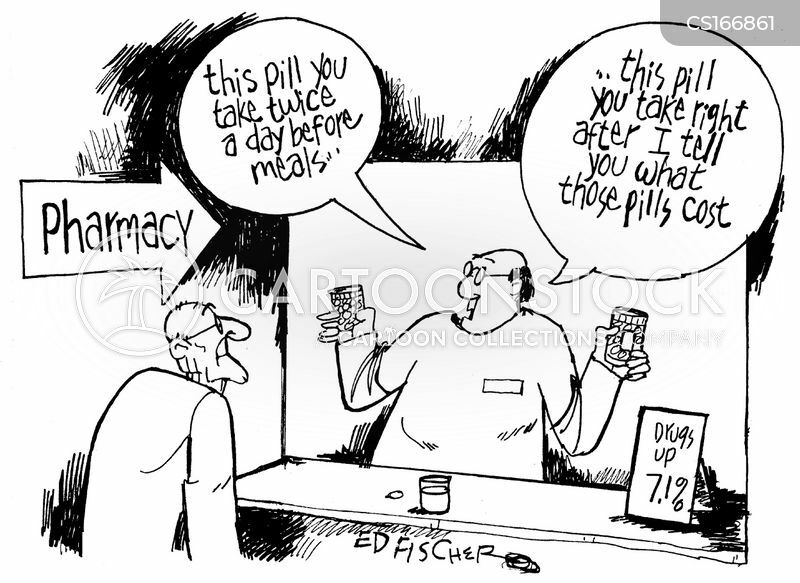 Make him take 16 of these a day until we feel a bit better about what we're doing to him. 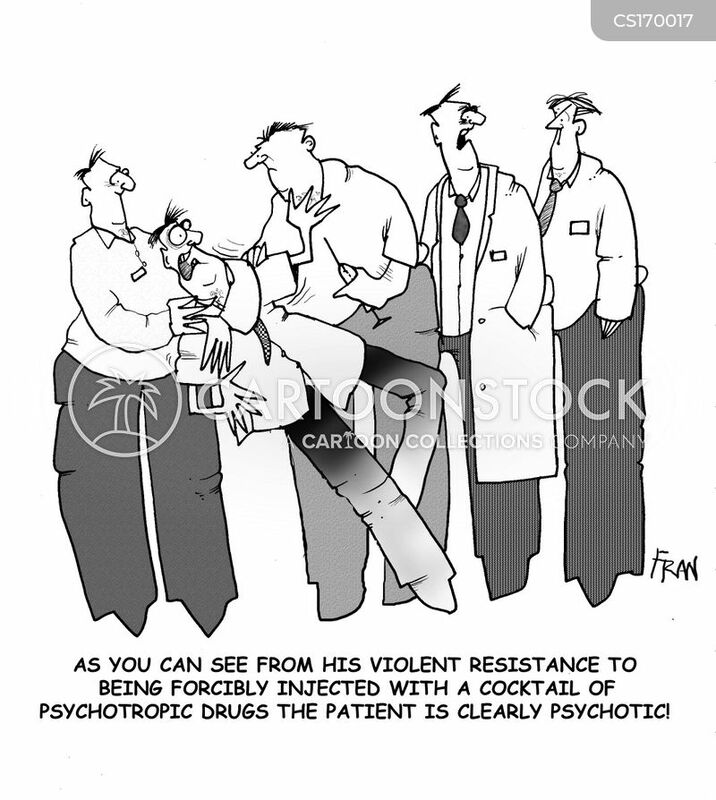 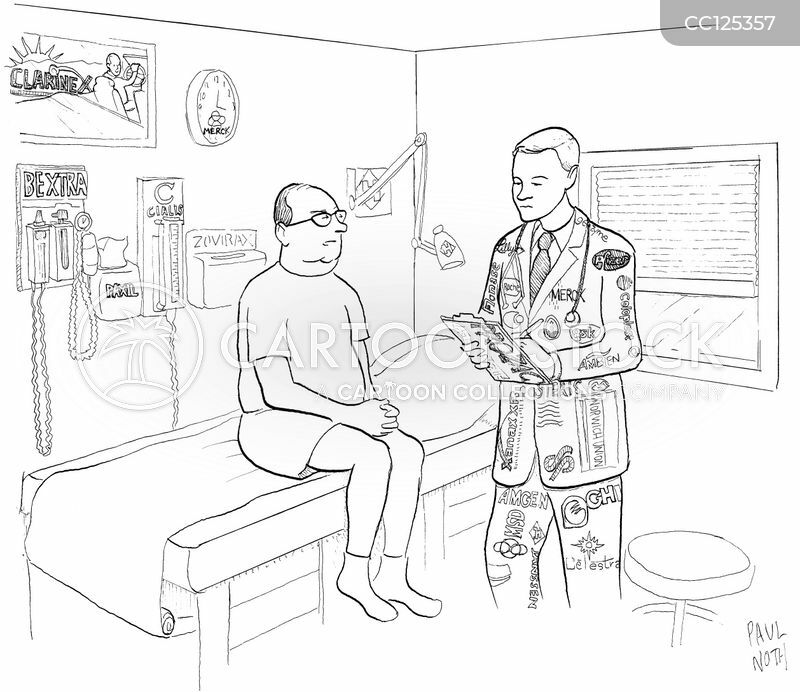 As you can see from his violent resistance to being injected witha cocktail of psychotropic drugs the patient is clearly psychotic. 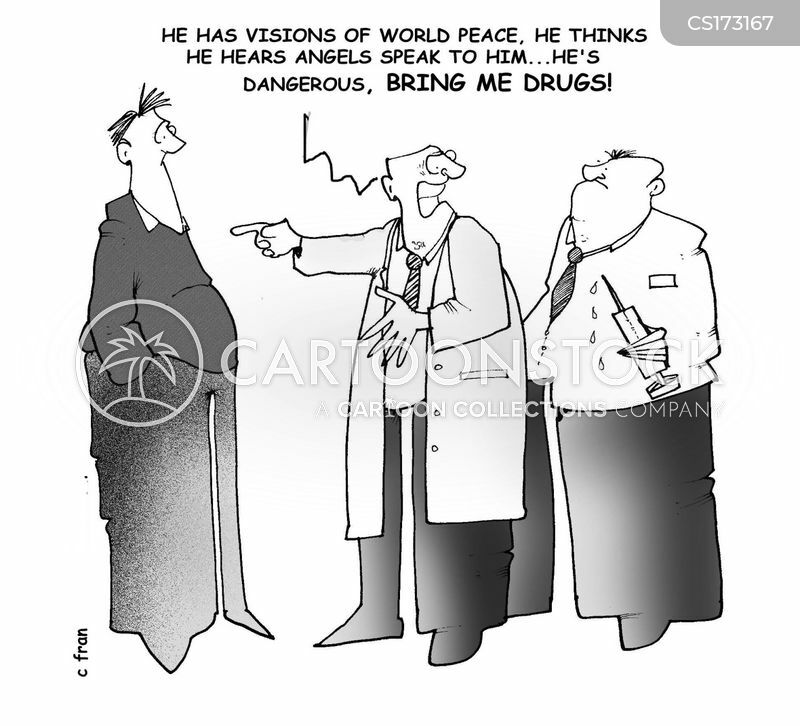 "He has visions of world peace,he thinks he hears angels speak too him...he's dangerous, bring me the drugs!" 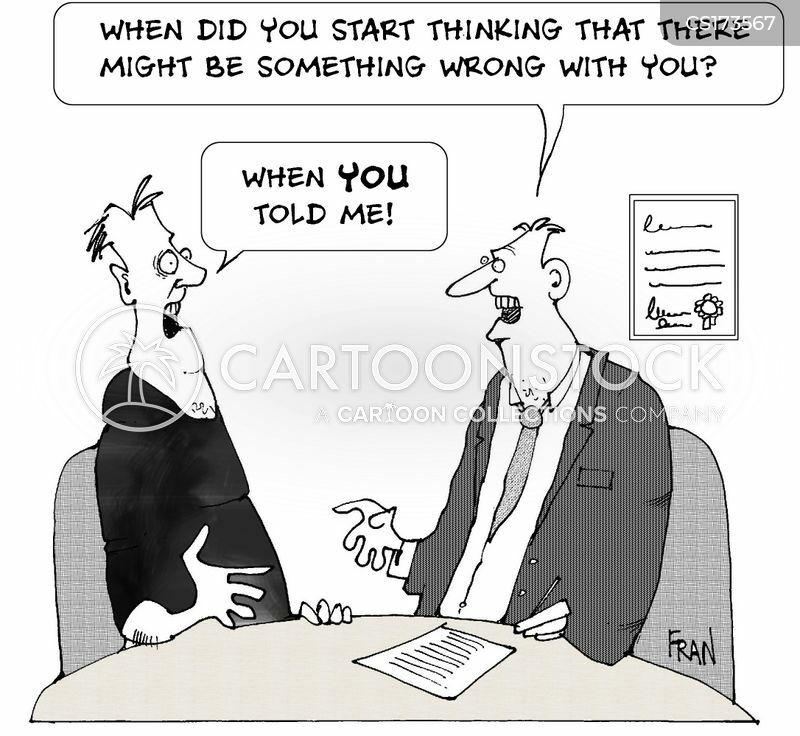 When did you start thinking there might be something wrong with you? 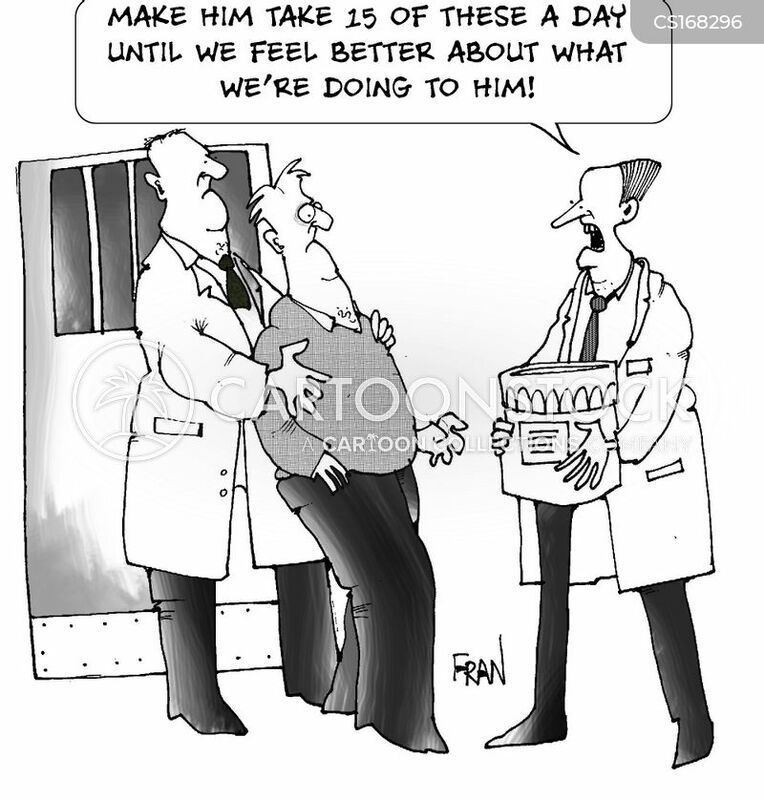 When you told me! 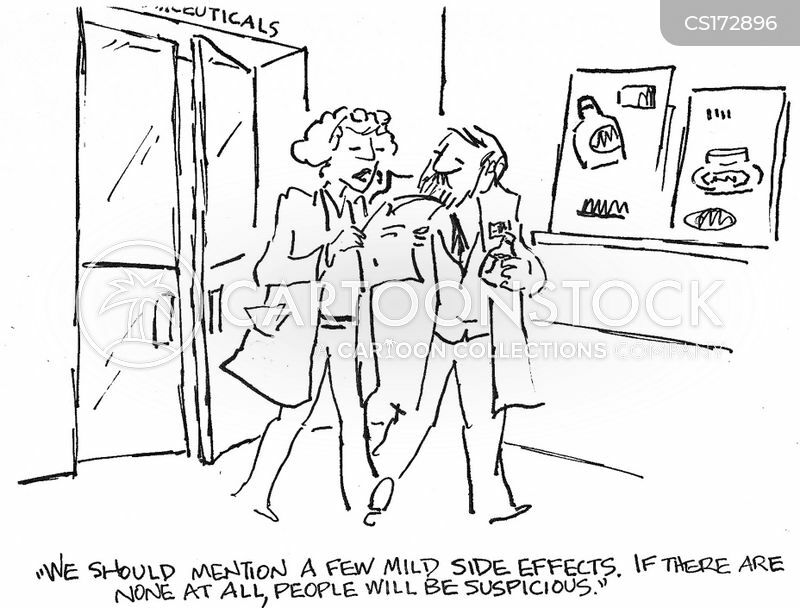 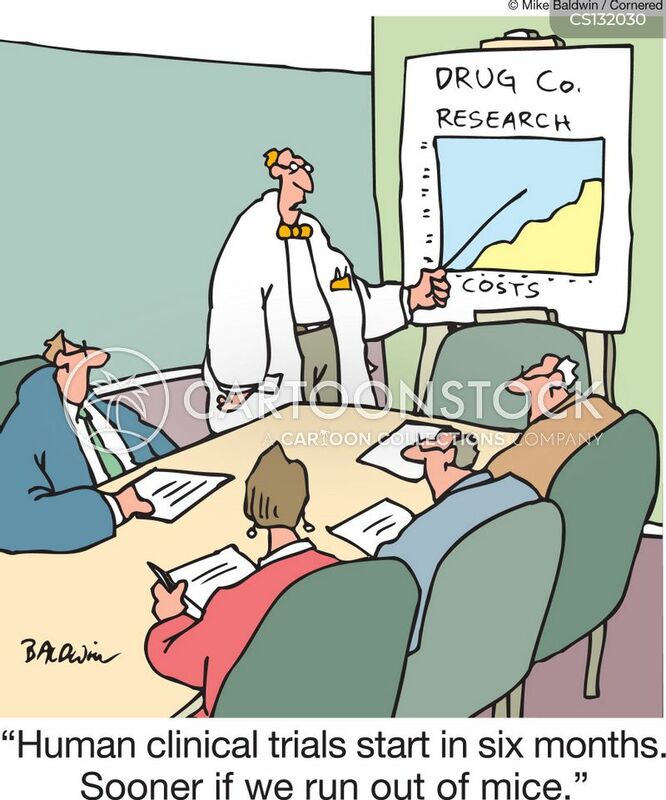 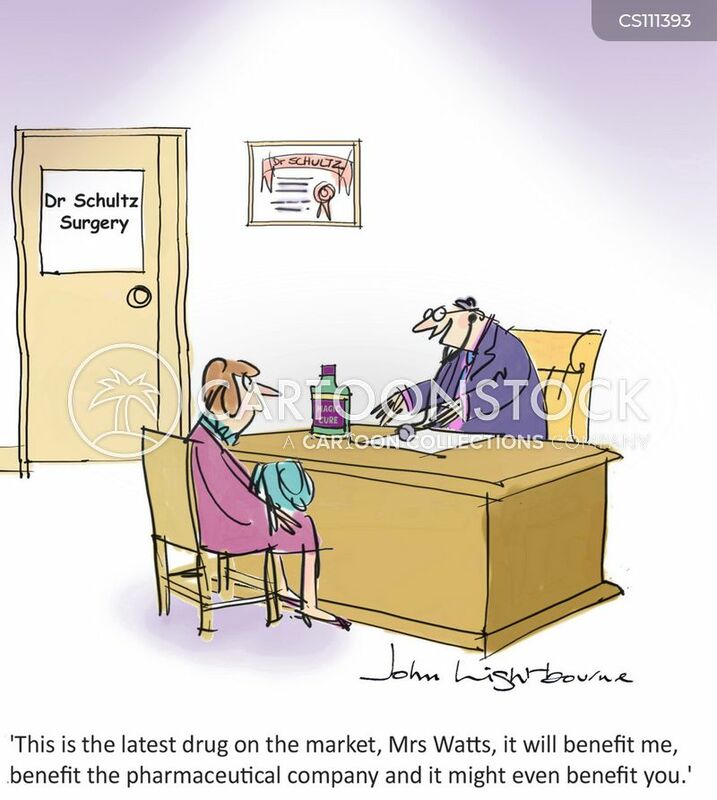 "This is the latest drug on the market, Mrs Watts, it will benefit me, benefit the pharmaceutical company and it might even benefit you." 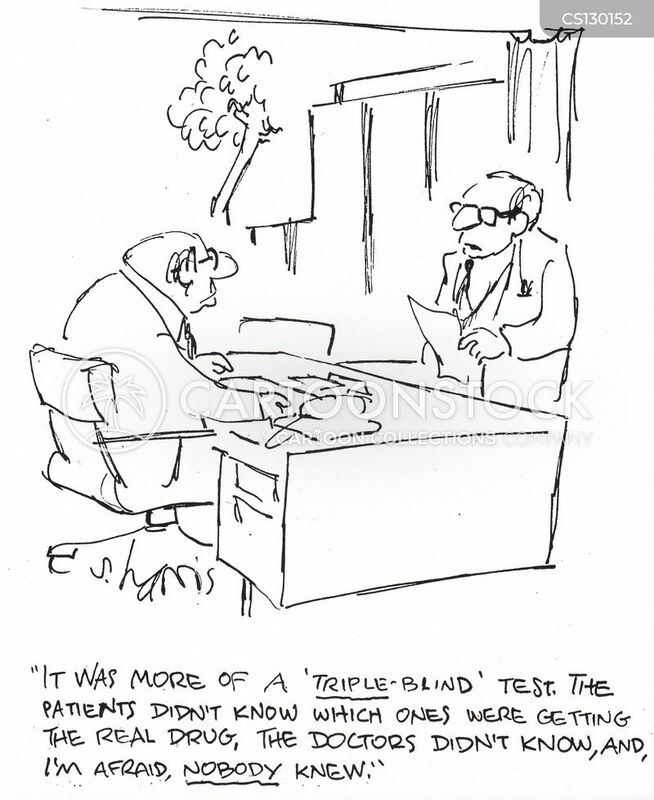 "Do a double-blind test. 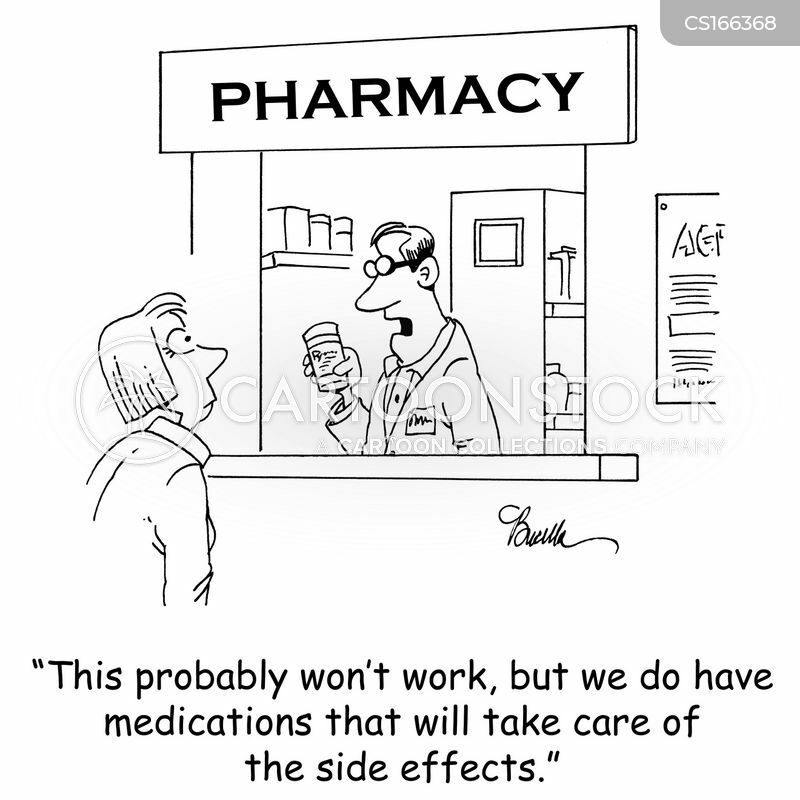 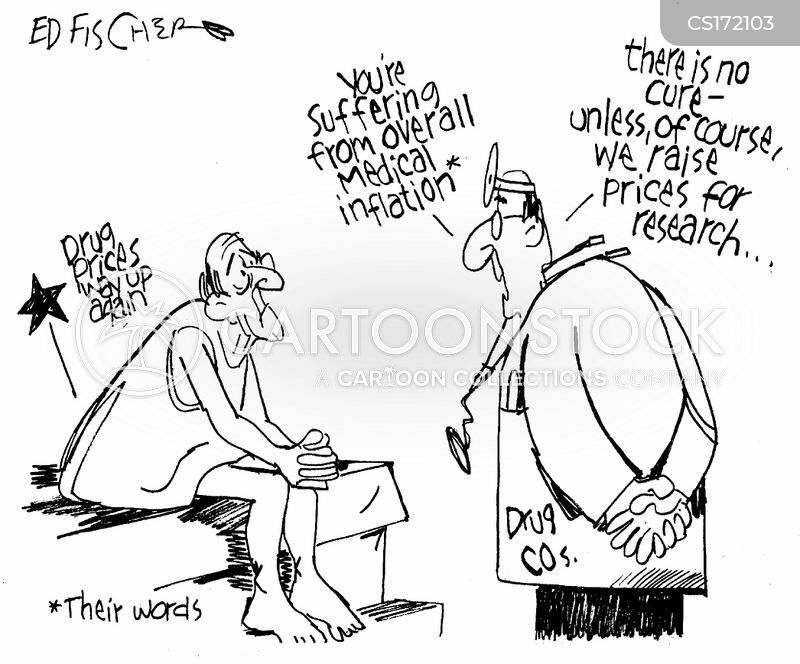 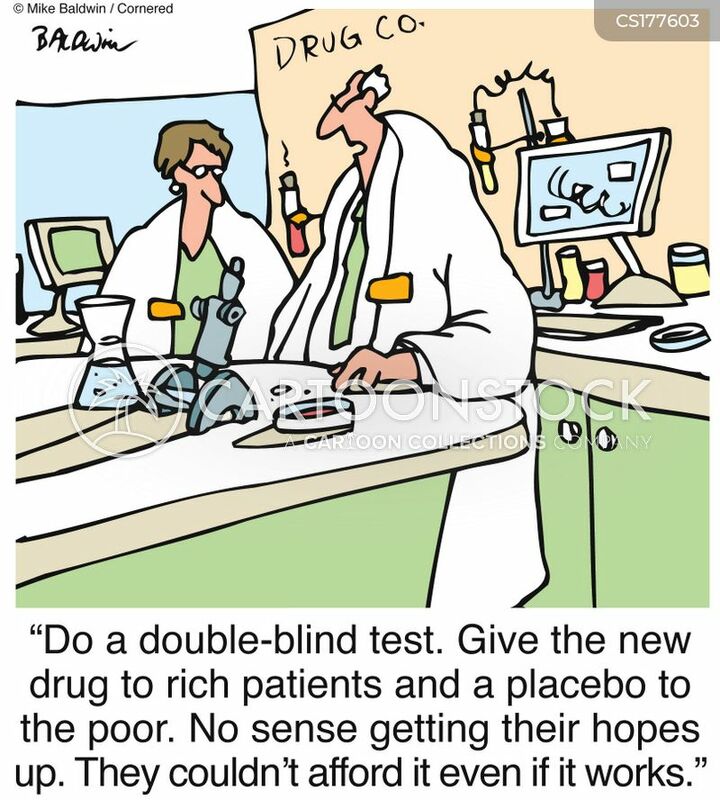 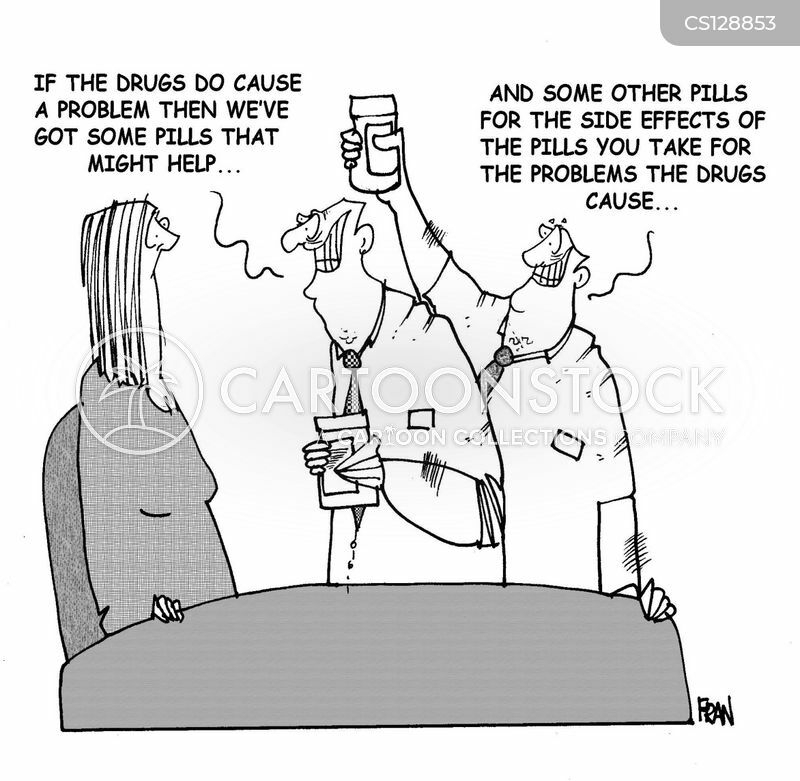 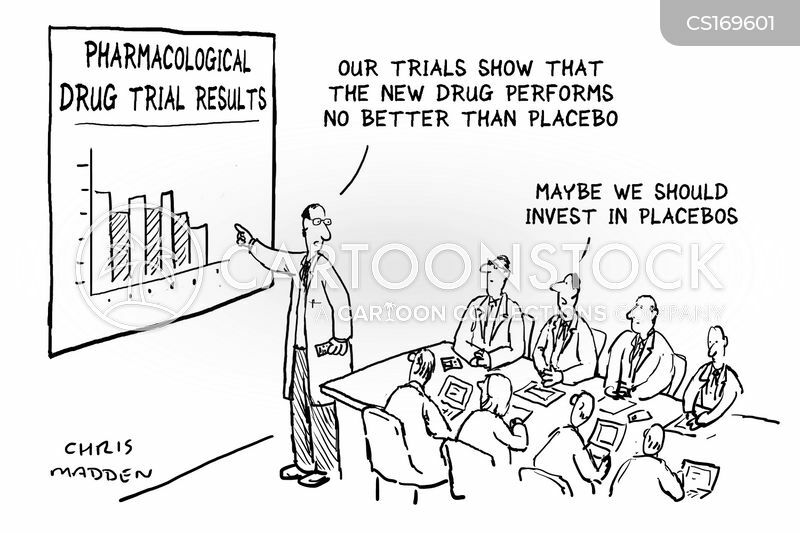 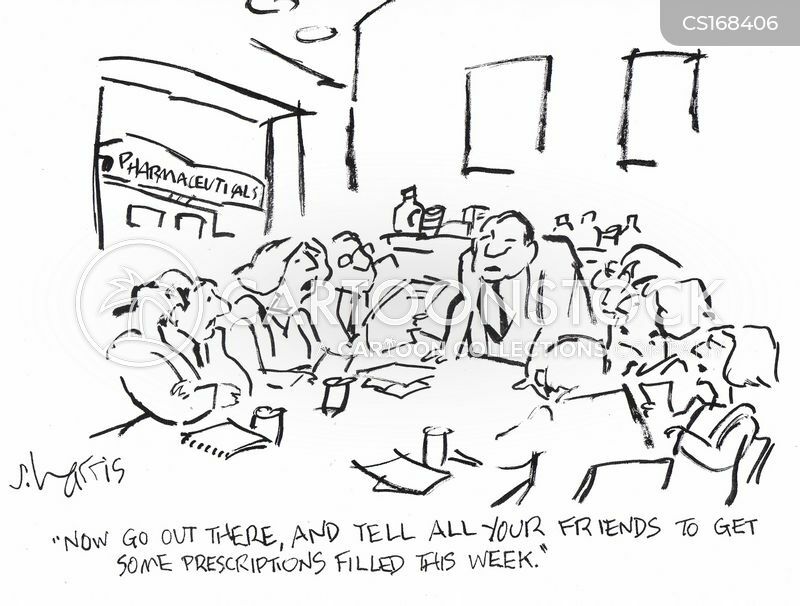 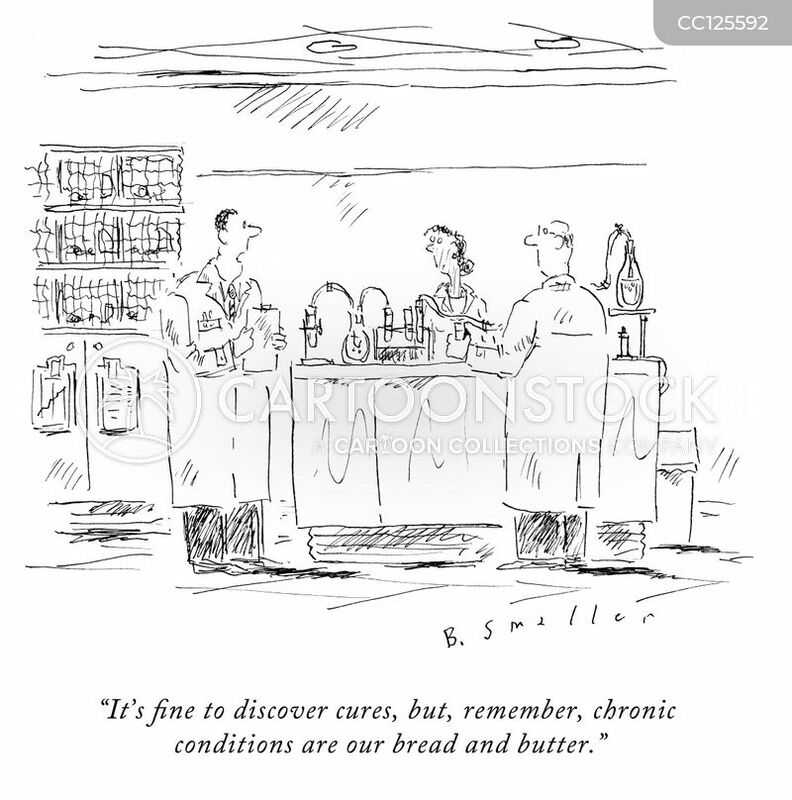 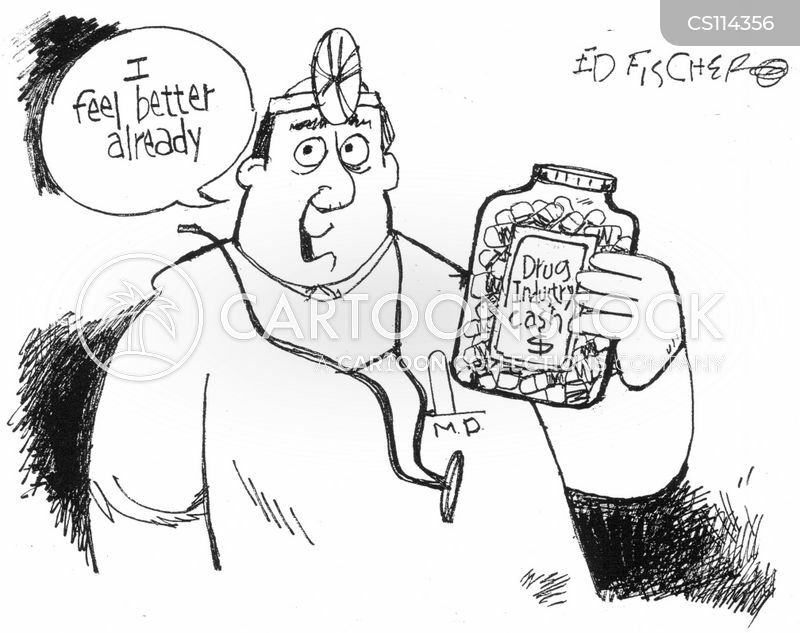 Give the new drug to rich patients and a placebo to the poor. 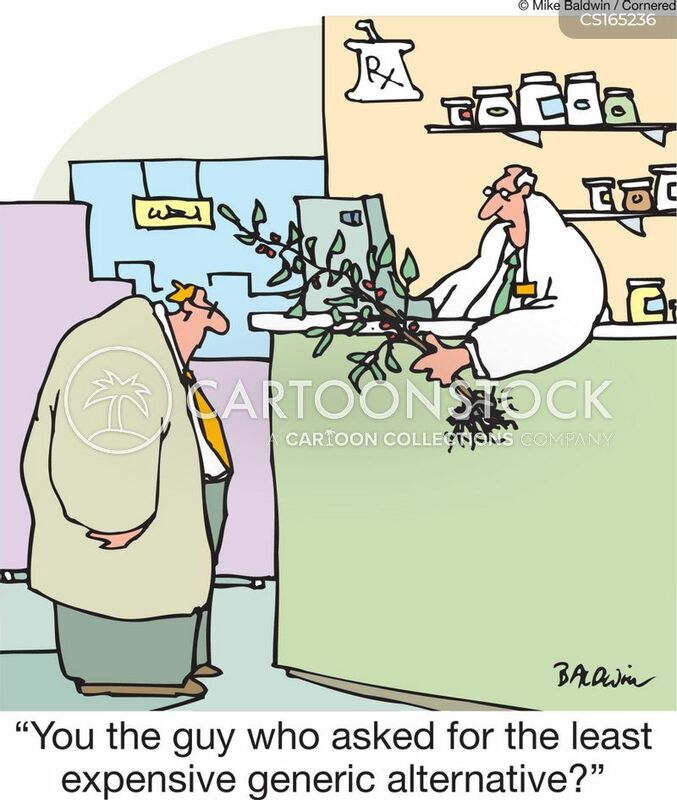 No sense getting their hopes up. 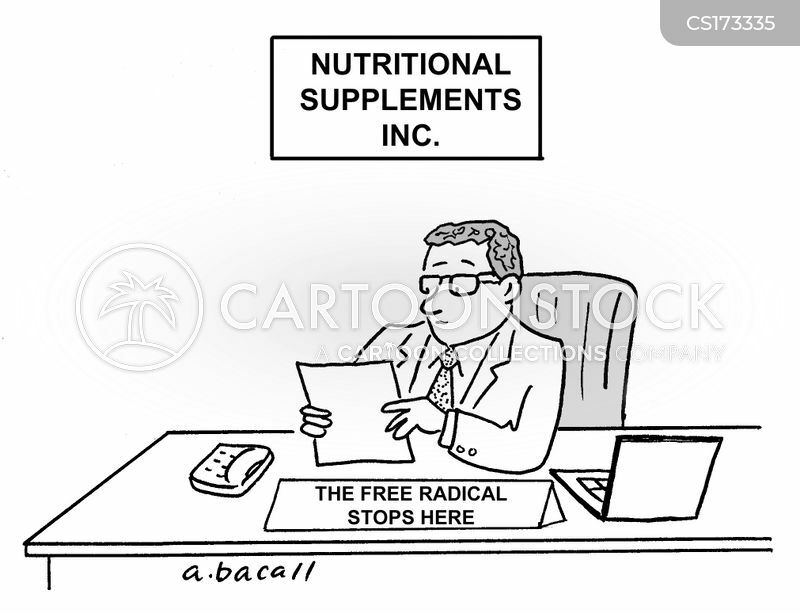 They couldn't afford it even if it works."